The internet is a tremendously powerful tool. But this is also what makes it potentially dangerous. In the past, terrorists have used it to direct and inspire attacks. 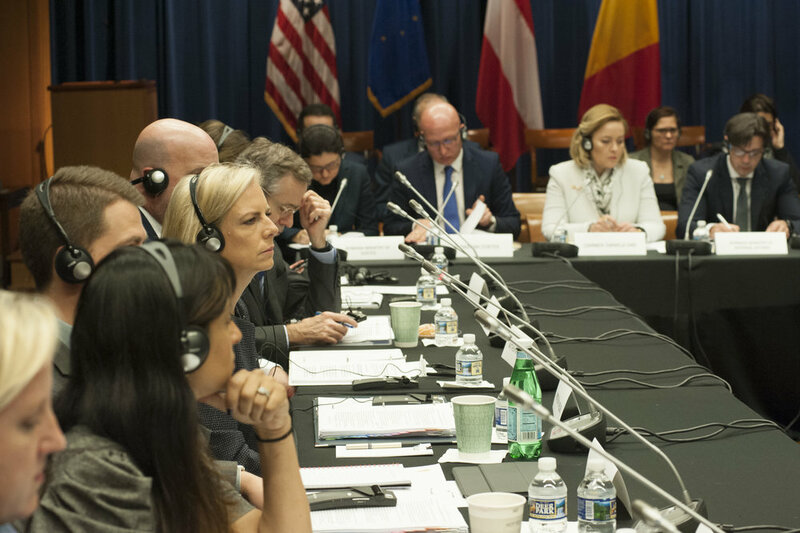 During the EU-U.S. Justice and Home Affairs Ministerial Meeting, the United States and the European Union recognized the need to enhance their efforts against terrorists’ use of the World Wide Web while preserving and respecting individual rights such as the freedom of speech. 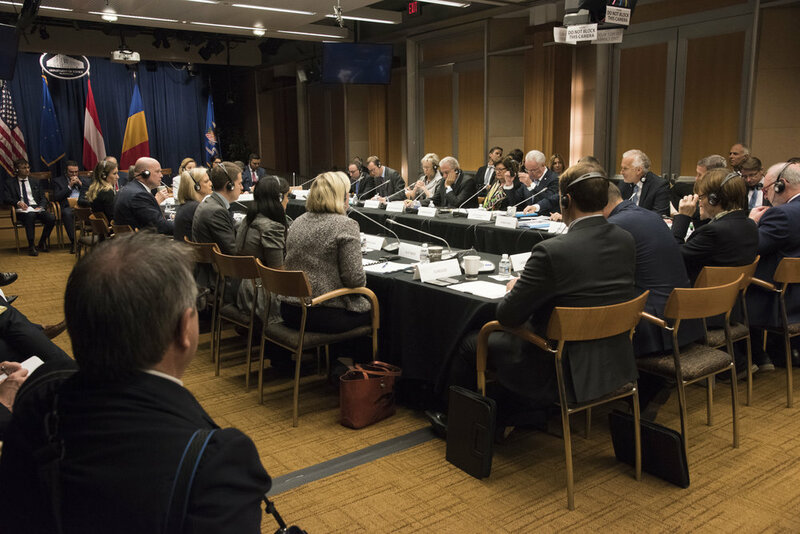 The meeting took place on November 9, 2018, at the Justice Department in Washington, DC. It was hosted by U.S. Homeland Security Secretary Kirstjen M. Nielsen and the U.S. Acting Attorney General Matthew Whitaker. The ministerial discussed not only cooperation on counterterrorism but also on migration, the resilience of electoral systems, cyberspace and counter narcotics efforts for the benefit of the security of citizens on both sides of the Atlantic. Read the joint EU-U.S. statement following the “EU-U.S. Justice and Home Affairs Ministerial Meeting” here. The European Union was represented at this Ministerial by Commissioner for Migration, Home Affairs and Citizenship Dimitris Avramopoulos, Austrian Federal Minister for the Interior Herbert Kickl, Austrian Federal Minister for Constitutional Affairs, Reforms, Deregulation and Justice Josef Moser, as well as by Romanian Minister of the Interior Carmen Daniela Dan and Romanian Secretary of State for Justice Sebastian Costea on behalf of the current and incoming Presidencies of the Council of the European Union.